Brian Williams is back. Deadline reports the former Nightly News anchor will debut his new MSNBC series, The 11th Hour with Brian Williams, next week. 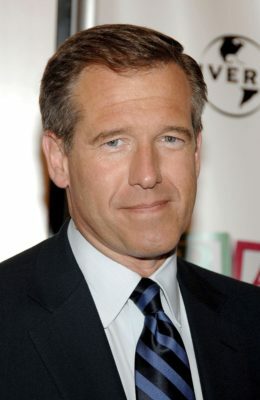 Last year, Williams was given a six-month suspension from NBC after he was caught exaggerating the truth about his time covering the Iraq War. He was later fired from NBC Nightly News after serving as anchor for nearly 10 years. Williams’ new series “will look at the major political stories of the day, any campaign news breaking at that hour, and headlines that will lead the next morning.” The live, weeknight program debuts on September 6th at 11 p.m. ET. What do you think? Are you a fan of Brian Williams? Will you watch his new MSNBC program? More about: MSNBC TV shows: canceled or renewed?, The 11th Hour with Brian Williams, The 11th Hour with Brian Williams: canceled or renewed? they should have .shame, jailed the sob when he lied about his experiences with our troops,shame on NBC for keeping him ,I think he shows the real side of NBC! Where is he? Joy Reid has been filling in, and Lawrence called it the 11th hour with Joy Reid? Pleased he is back. I’ve missed his presence on tv.